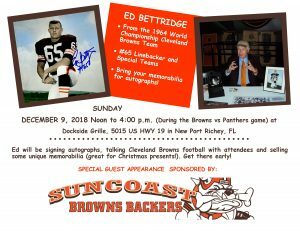 Ed Bettridge of the ’64 Browns Championship Team will be visiting the Suncoast Browns Backers during the Panthers/Browns game viewing party. Ed was a linebacker and special teams player on the last Championship Browns team. 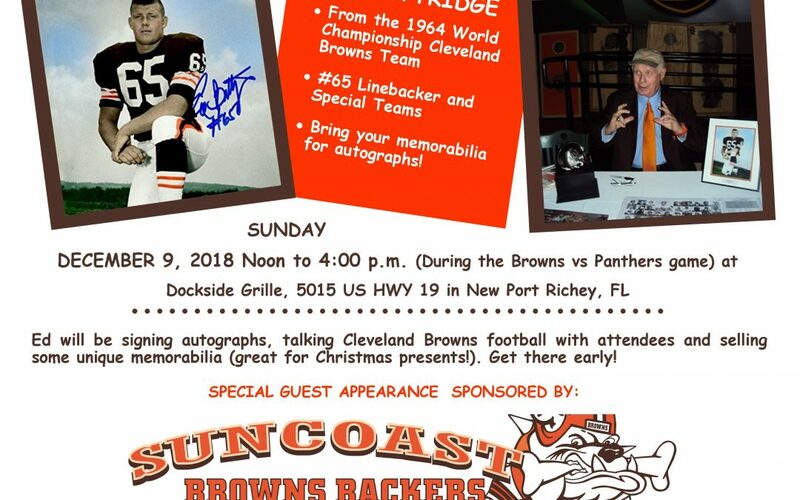 He will be there early before the game and will have memorabilia from the 64 Browns, and will talk with members and sign autographs. Feel free to bring your own things for him to sign. Ed will also have some affordable memorabilia for sale (great for Christmas presents!). Don’t miss it!